Founded by renowned digital artist Alex Alvarez in 1997, Gnomon School of Visual Effects addresses the critical needs of an entertainment industry dependent on skilled creative artists working in CG. Alvarez, reputed as one of the world’s best creature designers, dropped out of college himself after viewing Jurassic Park and Terminator 2, to realize his dream of creating art on a digital landscape. He created Gnomon to be a “pipeline to the industry” and a school he himself would have wanted to attend. Presiding over its vast expansion, his vision today boasts 1, 2 and 3 year curriculums in Entertainment Design and Digital Production in addition to various software workshops, online courses, Master Classes and even the Gnomon Gallery. 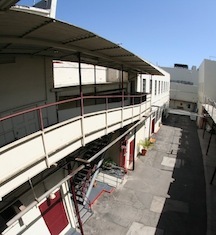 A steampunk-infused Hollywood campus sits in the heart of its industry, echoing with the many creative forces under its roof and the accomplished ensemble of instructors and budding artists. Students are anything but apathetic to their choice digs, influenced by the art that surrounds them and instructors who inspire and impart acute industry knowledge. To learn more about Gnomon’s impressive selection of courses, distinguished alumni and working instructors, we asked Director of Admissions Brian Bradford for a glimpse of what makes Gnomon shine so bright. This written interview is edited only for clarity where necessary. ACR: Brian, thanks for participating in our latest Q&A. I know readers are looking forward to hearing more about Gnomon’s programs. To start, tell us a little bit about the school’s genesis and the students it caters to. 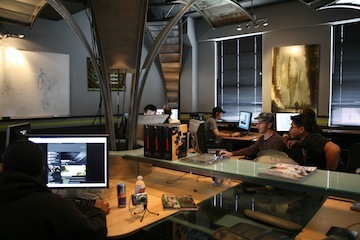 BB: Founded by Alex Alvarez in 1997, Gnomon is located in the heart of Hollywood—right down the street from the bulk of (the) studios creating the world’s biggest films and games—and taps a deep pool of industry connections to insure that our students are exceptionally well-equipped when they enter the job market. Basically, he wanted to create the kind of school for people like him that didn’t exist when he was beginning his education in art. Gnomon initially started as a sort of “after hours training group” where Alex was teaching professionals already working in the industry the tricks and tools of the latest software. But, with the rapidly advancing technology and explosive growth of digital visual effects in entertainment, Gnomon quickly bloomed into a full-fledged training facility where working professionals, aspiring artists and effects gurus all came together to learn from the best talents in the industry. As a result, we currently have a 93% job placement rate and our graduates are going straight into their dream jobs at places like Industrial Light and Magic, Dreamworks, Pixar, Naughty Dog, Blizzard, Rhyme and Hues and nearly every other leading studio you could name. ACR: In the fields of entertainment and game design, things are constantly evolving. How does Gnomon keep up with the changing demands of the industry? BB: Plain and simple, the best way to keep up with the industry is to tap directly into the industry—there’s no substitute for that direct connection. That’s why we require that every Gnomon instructor is currently active in the professional field, having recently worked on numerous high-profile projects. Most of us who have attended art school have experienced the frustration of having teachers that were not particularly relevant in their field or passionate about the subject matter they were teaching. ACR: Do they share insight beyond teaching to the latest software? BB: Having instructors that are active in the field is truly invaluable, there’s no substitute. 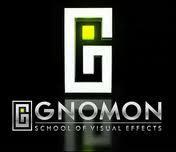 I’ve touched on it before, but we really think that’s an important distinction that separates Gnomon from other schools. It’s important to keep in mind the value of simply having conversations with a multitude of working professionals in an environment that serves as an industry hub. I often tell our students that the education they’re receiving from Gnomon is 50% skill set and 50% “how to market yourself”. You can be an amazing artist and know the software like the back of your hand, but without a solid idea of what studios are doing and looking for, you’re just another fish in the sea. ACR: You guys have an uber cool, state-of-the-art facility in Hollywood that features unparalleled production-level labs. Can you give us an ‘inside look’ at one or two workstations that faculty and students particularly enjoy? BB: One of the coolest things about our campus is that Alex Alvarez designed every classroom in Maya. He takes a 3D map of the new classroom’s empty space and draws these incredible steampunk-style layouts that a team of metalworkers and artists comes in and bring to life. The workstations themselves, being the computers, are all up to the latest industry standards and are loaded with a multitude of software’s being used in the industry today. ACR: And I hear that you also boast a few arcade games for downtime, not to mention 3D models, posters and industry swag lining the desks and walls. Does the studio-like atmosphere foster creativity and inspiration? BB: The entire school is really designed—both aesthetically, and in its curriculum—to inspire artists. We believe that inspiration, more than anything else, has to be at the heart of an arts education. You can learn every tool and know every trick, but none of that matters if you’re not surrounded by people and places and work that inspires you—drives you to create something you care about. We want the campus to look and feel more like an industry studio than the typical, white-walled art school environment that people have gotten used to. ACR: The animation industry may be highly technical, but when all is said and done great animators must possess fundamental artistic skills. What foundational coursework can students expect to take at Gnomon? BB: You’ve really hit the nail on the head with this question, and it’s something we preach all the time at Gnomon. Understanding the tools or even being a wizard with a Wacom tablet isn’t going to amount to much if you don’t have the basic and functional arts understanding. All of the students that we get coming in are already talented artists in their own rights, but we offer a lot of classes to bring them up to a professional level, where they understand how to be visual communicators. We have traditional clay sculpting classes teaching 3-dimensional form, drawing classes to develop an eye for proportion and knowledge of anatomy, and we even offer an improvisational acting course for animators so they can better understand how people—or creatures—express emotion through physical movement and gesture. These are just a few examples of courses that equip students with a conceptual understanding of art that ultimately makes them stronger digital artists. ACR: You guys boast a 93% placement rating for graduates. What things do you attribute to that incredible figure? BB: We are really proud of that number—especially when we hear back from former students that have found their dream job. But, that 93% job placement rate is thanks to a lot of different factors that are pretty unique to Gnomon, many of which I’ve previously stated. All of our instructors are professionals working in the field, we’re in the heart of Hollywood, where the entertainment industry is still centered, and we work very hard to create a supportive community for entertainment artists. Our “Making Of” events and gallery openings, for example, draw a ton of artists from all across the industry, so it’s a perfect place to network, where students can mingle with the creative talents they hope to someday work with. ACR: Some recent alumni have animated on the likes of Avatar and Tron Legacy and done 3D art on Halo and Medal of Honor to name but a few. Are there advantages at Gnomon beyond the coursework itself that might explain the impressive alumni list? BB: The entertainment industry is like any other industry—it’s as much about whom you know as it is about what you can do. You can have a great portfolio filled with professional level art, but people also want to know if your personality is a good fit for their team. The digital arts industry can be extremely demanding—the hours are long, especially near the end of a project—so you’re going to be spending a lot of time with the team you work with. They need to know you’re someone they click with. That’s why all of our events at Gnomon are such great networking opportunities—ones where you can shake hands and connect with the teams you’d like to join, rather than just blasting out your portfolio to every studio in the world. There’s also a lot to be said for the reputation Gnomon has in the industry—we train the best and work with the best. When a studio has a new opening, or needs to staff up for a project, we’re the ones they call. They know our graduates are prepared at a professional level, so they look to us when they need to make a hire, rather than sift through crates of demo reels they receive every day by mail. It’s much more efficient for them to reach for the phone and tap a reliable source. 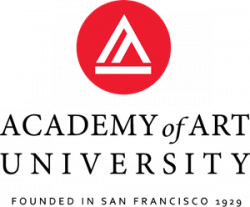 ACR: Who should consider applying to one of Gnomon’s programs? BB: We have a variety of different programs for applicants on several different levels, from both a technical and software proficiency perspective, but the one thing all of our students have in common is a passion for art. If you love to draw—and can show that passion and talent on a piece of paper—we can structure your curriculum to develop the more technical skill set. We have some students that come in to Gnomon with sketchbooks filled with doodles and drawings, but they’ve never touched a Wacom tablet or opened up a 3D software package. Others know all the tools and shortcuts in Maya or Photoshop the day they walk in the door, but need some inspiration to find their own aesthetic voice. That’s all to say, there is no prototypical Gnomon student outside of being driven and passionate artists. ACR: Lastly, you offer online and individual courses that run the gamut from texture mapping and polygon modeling to learning Maya. Who are these courses best suitable for? BB: You can really never learn too much. It’s quite common for industry professionals to take classes at Gnomon, focusing on areas of the production pipeline that may fall outside of their specialty. Aside from the physical environment at Gnomon, the instructors that are leading the online classes and the artists that contribute to the Gnomon Workshop are the best and brightest talents in their fields. Cecil Kim, Rich Diamant, Neville Page, Rafael Lacoste—they aren’t all at Gnomon teaching every day, but they’ve put together wonderful training videos that can really help develop or refine a student’s skills. That’s why a lot of other educational institutions stock their libraries with our training videos, and that’s why the top studios are buying our videos to keep their artists ahead of the curve on the tools of the trade. The nice thing about the training videos and online courses is that they are often highly specialized so they’re perfect for students and professionals that might not live in LA but want to be at the top of their game. That said, if you’re an aspiring artists, and you’re truly serious about making a career out of your art, then there’s no substitute for being in LA and learning with the best in the industry. ACR: Brian, thanks for answering our questions today. It’s been a pleasure. All the best!